In my first visit with the Troxel Family of Troxel Dairy Farm we learned about where our milk comes from and got a glimpse into the life of a dairy family. In this post we delve a little deeper into how technology has changed how farms operate. I invite you to share a comment below on how technology has changed how you live, work and play. I was invited by Indiana Dairy to learn more about the dairy industry. Like everything you see on Basilmomma.com, all opinions are my own. I can certainly list about 10 ways in which technology has improved how I live, work and play. From programmable slow-cookers to a cell phones, there is something that is said to improve your life everywhere you look. There are still some things I am holding onto like books with pages, newspapers, and printing my photos. For the most part I have embraced all things “new”. It doesn’t mean I understand it all, but I do enjoy my tablet for watching movies or my computer for getting my work done in a more efficient manner. Just the advances in milking alone are amazing! But how have advances in technology affected other areas of business like medicine, construction or- farming? How are farmers using technology to make their farms better? Farmers have a vested interest in protecting wetlands, eco-diversity and other natural resources. For centuries, they’ve used traditional methods such as crop rotation and mulching to preserve the fertility of the land. Today, dairy farmers have even more options at their disposal to help reduce their environmental footprint. Thanks to state-of-the-art manure handling equipment, storage facilities and application processes, it’s easy for farmers to get proper nutrients to the soil, while protecting against runoff and reducing air emissions. One way farmers handle manure is through modern mechanical separators, which separate the solids and liquid in manure. The solids can be directly applied to cropland or composted and sold as organic fertilizer. The separated liquids can be recycled and used for flushing alleys in the barn and irrigating fields. Technology also has shown that there are many ways to fertilize a field beyond applying the manure directly to the crop. One alternative uses high-tech equipment to “inject” underline or mix the manure right into the soil, which minimizes odor while adding rich nutrients into the soil. Another high priority for farmers is storing the solid and liquid manure until weather conditions are right for fertilizing the land. Many farmers use progressive lagoons to store and naturally treat the manure. In a lagoon, solids settle to the bottom, and bacteria and microorganisms break down the manure that results in a nutrient-rich waste water with fewer odors. Cutting-edge research seeks to further enhance the benefits of lagoons on farms. One example is adding algae to lagoons. The oxygen produced by the algae allows odor-eating bacteria to live longer, resulting in an even greater reduction of odor. Alternative energy is all the buzz these days, and dairy farmers are caught up in it too. On some farms, methane digesters are used to collect methane gas released from manure and convert it to energy. 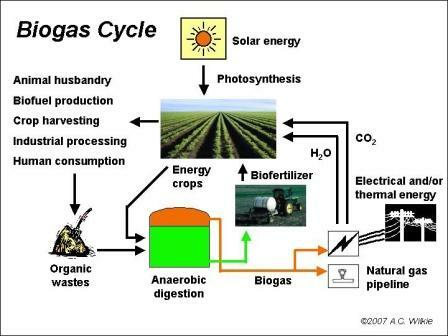 This “biogas” is a renewable fuel that can be used to generate electricity for both the dairy farm and the local community. How does this translate to our featured farm family? I asked LuAnn Troxel of Troxel Dairy Farm what kind of role technology plays on their farm. With her husband being a veterinarian and her son Rudy managing the genetics of the animals, the use of technology and staying up to date is key. To succeed you need to keep one foot planted (pun intended) in the old ways that worked and keep your finger at the pulse of how practices are evolving and make improvements. Sustainability means doing more with less, and that means adapting to a changing market too. If (all)farmers didn’t practice sustainability…there would sure be less farms. It goes without saying that technology can’t replace good old common sense and experience. Some things you just know. The feel, the sound, the way an animal is standing, how they eat- these are nuggets of wisdom gleaned from years of experience and hands on farming. “I’m torn sometimes because all the technology definitely helps (smart phones, dishwasher, texting, scanning, remote desktop function on the computer, online banking and depositing, more) and I don’t want to return to days where we didn’t have it, but even with all these helpful tools, you still need to make good judgment calls on what is useful and what can be a time waster. There are times that I feel like I work longer and harder but still don’t get enough accomplished! All cows are closely monitored for health and to determine when it is time for them to begin the gestation process. I saw for myself how each cow was fitted with a “necklace” to monitor them. On some farms cows are fitted with a bracelet that acts like a Fitbit and keeps track of their exercise, location through GPS and so on. This information can be accessed anywhere in the world at a touch of a button and on any device. This is just one sliver of a way that technology helps a farm run more smoothly. I hope this has shed a bit of light on farmers and technology and best practices. Please feel free to leave any and all questions and comments below and I will do my best to find someone to answer them for you. I would like to thank the Troxel Family for their generosity and allowing me to share their farm story to you all. Read more about the Troxel Family HERE. I very much enjoyed this article and hope for more like it! Thank you very much for featuring Chattooga Belle Farm in your fatroive photos. We love to share the beauty of our 138-acre U-Pick farm specializing in small fruit production. With over 500 apple trees, hundreds of peach trees, nectarine trees, paw paws, persimmons, pomegranates, figs, quinces, and more, the orchards only compliment the beauty of the vineyards on the rolling hills. With three types of wine grapes, three types of table grapes, muscadines and scuppernongs, we are planning a winery in the future, but that didn't stop us! We have a farm store and have our Muscadine wine on the shelf! We also raise all-natural grass fed Black Angus cattle, which we sell by the quarter, half or whole.With gorgeous panaoramic 270-degree views of the mountains and a large event facility equipped with a catering kitchen, the farm is the perfect venue for your event, be it wedding, prom, or family reunion! We are open to the public all the time and open to foot traffic when we're not there. Come by, sit a spell, picnic while you watch the sunset or play a round of disc golf in one of the most beautiful farms in the country!